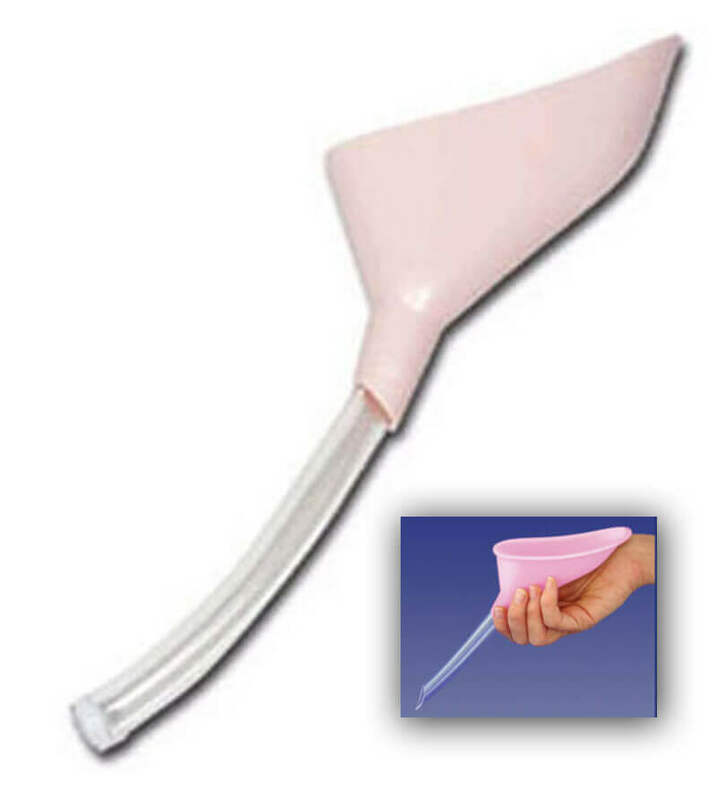 Home » Pee Funnels (Female Urination devices) » Freshette Full Review – Is it Worth a Go? Freshette Full Review – Is it Worth a Go? 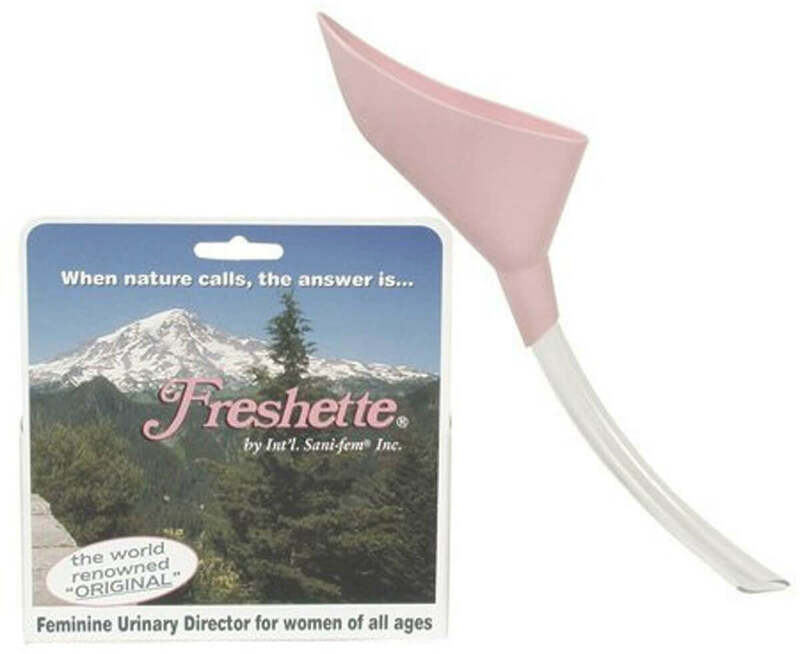 The pink Freshette is described as the “original urinary director” for women. It measures 6 by 1.75 by 6 inches and is about the size of the palm of your hand. The Sports and Travel Freshette comes with a 5-inch extension tube that stores inside the main plastic trough, and a custom travel pouch. This item is sold in camping supply stores like REI. Interestingly, it’s also used on most major Antarctic Expeditions. I can imagine that indoor plumbing must be hard to come by in the Antarctic! 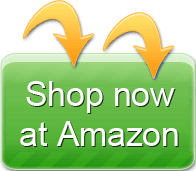 The Medical Freshette, $28.95, comes with an extra-long 36-inch extension tube so that it can be used while laying in bed or while seated in a wheelchair. 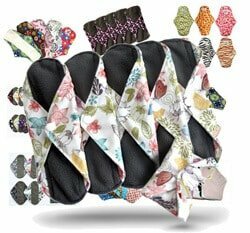 The Complete Portable Freshette is listed at $34.95. This FUD comes with a standard 5-inch extender tube and 12 disposable collector bags that capture urine. You also receive a plastic travel pouch and a vinyl carrying pouch that zip closed. This device is meant to be used during long car trips or anywhere that a “place to go” isn’t available. 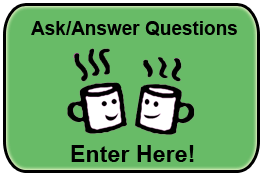 Most users like this item. The ones who love it say it works well, is leak-free and easy to aim. One less-than-positive remark was that the “cup” shape of the Freshette might capture some urine, so you have to be careful when moving it away from your body that you don’t tilt it backward and get pee on yourself. Not very discreet: Carry bag clearly shows what the item is. 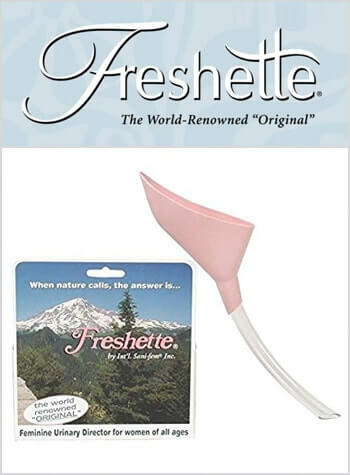 The Freshette comes from a company called International Sani-Fem, Inc., that is based in Downy, California. 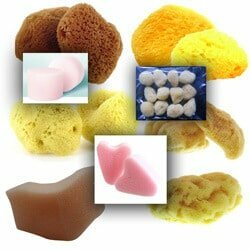 The Freshette is a good bet if you know you will have a need for using a FUD on a relatively regular basis. It’s a quality item that isn’t cheap. So, if you want something durable and trail-tested, this is an excellent option. CONS: bulky, unsanitary, feels like you’re carring a medical device! You have to wash it. - CONS: bulky, unsanitary, feels like you're carring a medical device! You have to wash it. The urine came flying out in a rotary pattern, splashing EVERYWHERE!